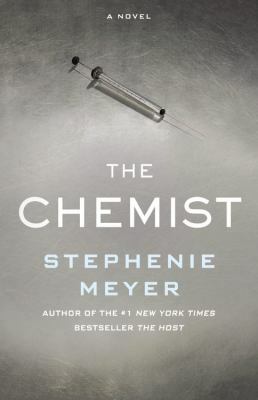 The Chemist by Stephenie Meyer was a pleasant diversion from what I was expecting. I’ve read everything else Meyer has written (the Twilight series and The Host). I actually really enjoyed all her previous works and occasionally would re-read them when I needed a brain cleanse/a break from the heavy nonfiction I was reading. They fit my niche. I picked up The Chemist without really reading the blurb on the back and expected to have a supernatural and science fiction thriller on my hands. I was wrong. It was way more realistic fiction than I was expecting, but I was okay with it. The Chemist is about an ex-agent who used to work for the U.S. government. She must do one last job in order to clear her name, but this job isn’t nearly as clear cut as she is led to believe. The agency she used to work with is so undercover and clandestine that it doesn’t have a name. People don’t know that the agency exists, but they have heard the rumors of the woman who works there. Being unable to discuss the nature of her work outside her lab, she formed a close relationship with her mentor Barnaby, another scientist. Her employers decided that changes must be made, that her area was a liability, and they killed Barnaby, the only person she ever trusted. She finds herself on the run from her former employers who are still hunting her. People have been sent to kill her, but she’s managed to escape. After the last attempt on her life, she realizes that while she was working for the agency, she must have either overheard something she shouldn’t have or something she worked on has made her a liability. They have decided she must be eliminated. After one of her former employers approaches her and offers her a way to get the agency off her back, she must weigh the consequences of taking the job vs. staying on the run. If she takes it, she will be uprooting her entire existence, the only way she has been able to keep herself alive. If she takes it, she will be putting herself both back on her former employers’ radar and, more importantly, physically back within their reach. If she doesn’t take it, she’ll have to stay on the run, continually changing her name and not forming bonds with anyone. She’s safer on the run and alive, but she’s not really living a life when she has to continuously look over her shoulder. This job is her only chance to get her life back and to get her former employer to stop trying to kill her. She decides to take it. The information she learns while she is performing this job makes her question things she thought she knew as truths. Her life is now in even more danger once she figures out this job’s reality. She is forced to once again fight for her life and now the lives of the other people involved in this job. Even though this job was supposed to be her ticket to freedom, it has instead made her life infinitely more complicated. She quickly finds herself having to rely on others, something she would never even consider if her options weren’t rapidly shrinking. 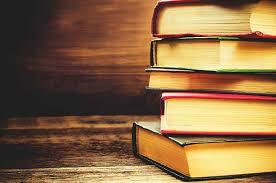 Meyer has crafted a story that is true to her writing style. Her heroine is strong and fierce, willing to fight for what she believes to be her due. This novel is a highly suspenseful thriller, one that leads readers through a wild goose chase of sorts as the main character works to figure out exactly who is after her, what she is willing to do, and what she is willing to sacrifice in order to save herself. I greatly enjoyed this novel and I think that listening to it added to my suspense level and enjoyment. Meyer also adds a layer of separation between readers and the main character by hardly ever referring to her by name, something that is necessary given the fact that since she worked for such a clandestine agency, her whole working life was a secret and now she must keep things even more under-wraps in order to stay alive. I highly recommend this book.